Roses from the rose garden! 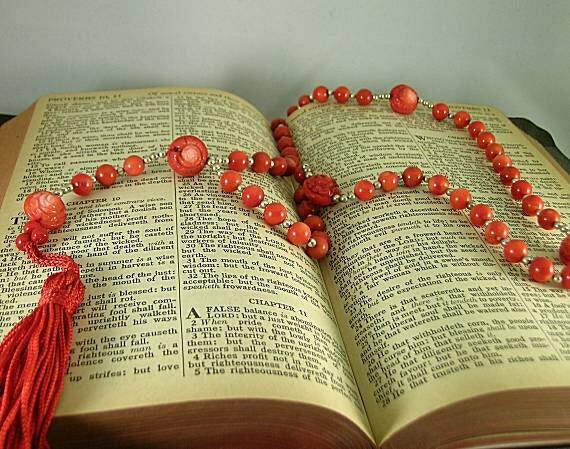 The word "rosary" is derived from the Latin word "rosarium" which means rose garden. 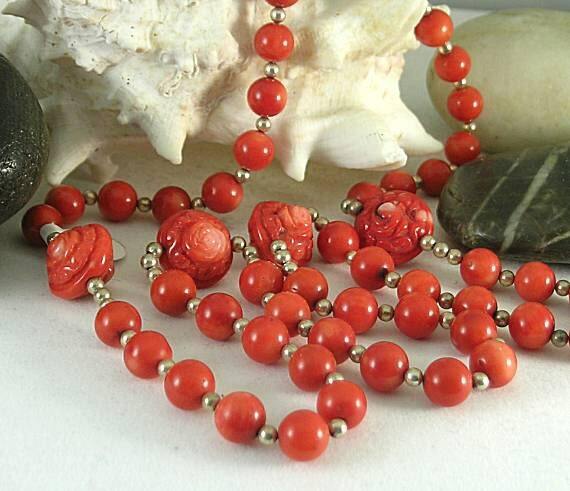 This rosary lives up to its name! Not only are there 50 beads, it actually has roses too! 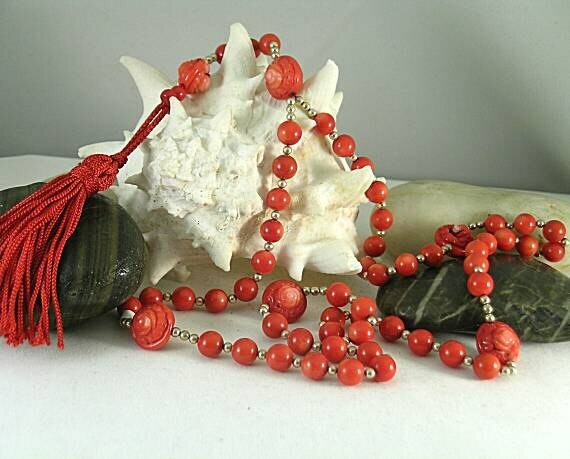 It is hand-strung on silk beading thread and consists of fifty-three 10mm coral beads separated by 2mm silver beads which are divided into decades by carved rose coral beads.